Records of 2,700 people who were sterilized under the Eugenic Protection Law — which was in force for decades until 1996 — have been found in local governmental archives, a development that could help victims seek state compensation. Kyodo News confirmed the existence of the records in a nationwide survey. The number constitutes only 10 percent of the 25,000 people who had their reproductive capacity removed due to mental disabilities or diseases. In the first such case in Japan, a woman in her 60s plans to file a lawsuit on Tuesday against the government to seek compensation because of her forced sterilization under the 1948 law. The mentally disabled woman in Miyagi Prefecture was a teenager when she was taken to a hospital without any explanation and forced to undergo the surgery, sources said. The Sendai Bar Association in Miyagi will set up a call center on the issue in February and is asking other bar associations nationwide to do the same. The effort could encourage more victims to demand compensation. The law authorized the sterilization of people with mental disabilities, illness or hereditary disorders. Meant to prevent the birth of “inferior” offspring, it also allowed for forcible abortions. The legislation, which drew on a similar law in Nazi Germany, was scrapped in 1996 amid growing accusations of discrimination against disabled people. It was replaced by the Maternal Protection Law. According to the survey, 19 prefectures, including Hokkaido, Saitama and Chiba, have records listing the names and other information about 2,707 people who are believed to have been subject to sterilization. The information includes fees for surgery and hospitalization expenses. Of the 2,707 people listed in the records, 1,858 apparently underwent sterilization without consent, while six gave their approval. Consent was unclear in the remaining cases. Of the total, 780 were male and 1,916 were female, while information was not disclosed about 11 people. The survey, however, found that records for nearly 90 percent of the overall 25,000 people are likely no longer maintained by the prefectures, having probably been destroyed. “It may be difficult to look into what actually happened at that time and also to seek an apology and compensation (from the state),” an expert on the issue said. 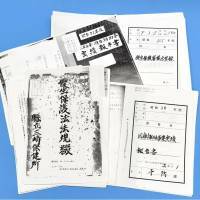 In December, Kyodo News began making inquiries to local governments and other archival institutions in all 47 prefectures, asking whether they had documents on sterilization. 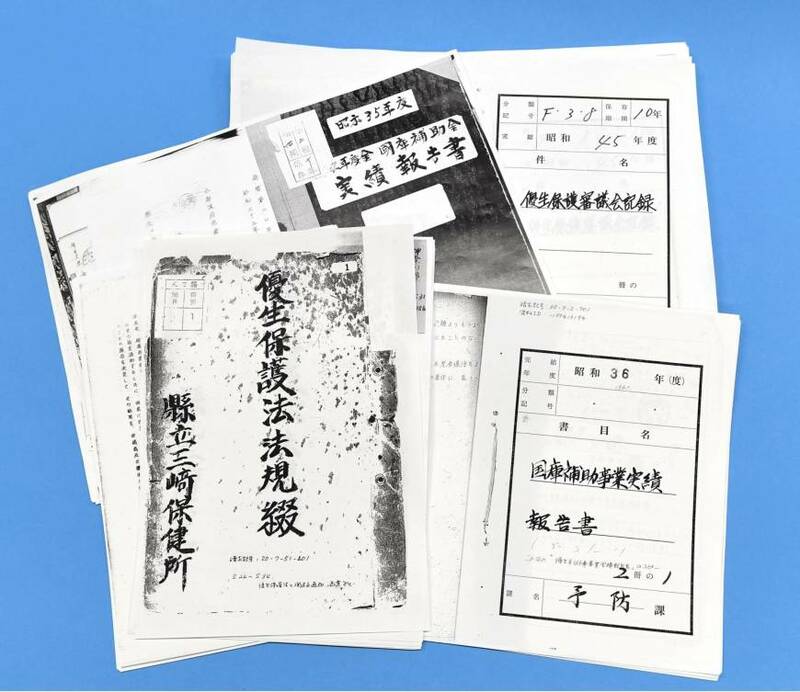 Records found at the Kanagawa Prefectural Archives revealed cases in which parental consent was given for sterilization. Parents expressed various worries about their children, the documents showed. One parent was concerned about their child facing menstrual issues and raising children. Analyzing the records, Keiko Toshimitsu of the Research Center for Ars Vivendi at Ritsumeikan University said the defunct law promoted discrimination. Toshimitsu said that without understanding or support for people with disabilities, parents believed that giving their consent was the best choice for their children. The records found in Kanagawa were dated from the 1950s through the 1970s. Among them was an application form submitted to a prefectural screening panel tasked with reviewing whether to carry out surgery without the consent of the concerned party. The materials also contained examination records, information on family medical histories, occupations and surgery costs. According to a fiscal 1963 medical bill, a surgery was conducted to remove a woman’s ovaries, which was prohibited under the law. Even after the law was replaced, the government neither apologized nor offered compensation to victims. Germany and Sweden had similar eugenics laws, but the governments there have apologized for the practice, paying compensation to the victims.